Apple’s iPhone business has been phenomenal for the last six years. But if Apple wants to capture the next phase of growth it’s going to have to change its business model. To date, Apple has relied on carrier subsidies to sell the iPhone at an affordable price. This has led to it winning the U.S. market, but doing less well elsewhere in the world. 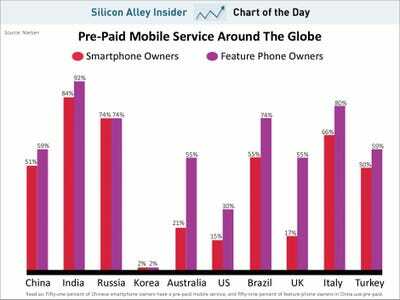 The problem for Apple is that other countries have a different model for mobile. Instead of signing up for a two-year contract, people pay as they go for their data plans. This means they’re not getting discounted phones, they’re paying the full price. Without a subsidy, the iPhone quite expensive relative to the competition running Android. Considering the gap between Android and iOS isn’t all that big, lots of people opt to save money and buy an Android phone. Apple has largely run through the user base in the U.S. and other developed countries. If it wants to sell to the other group, it needs to introduce a less expensive phone. Essentially, Apple as it currently operates, is not an option for a lot people around the world. How many people? Take a look at this chart from Nielsen for some context. 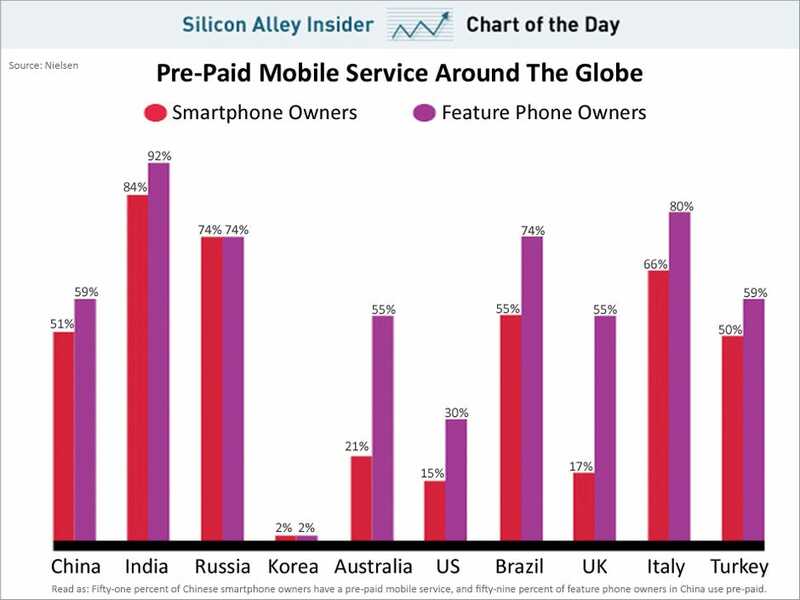 In India, Russia, and Brazil, the vast majority of smartphone owners are on pre-paid contracts.